Celebrate career highlights and work anniversaries. 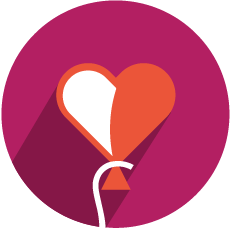 Create dynamic service anniversaries and celebrate career milestones. 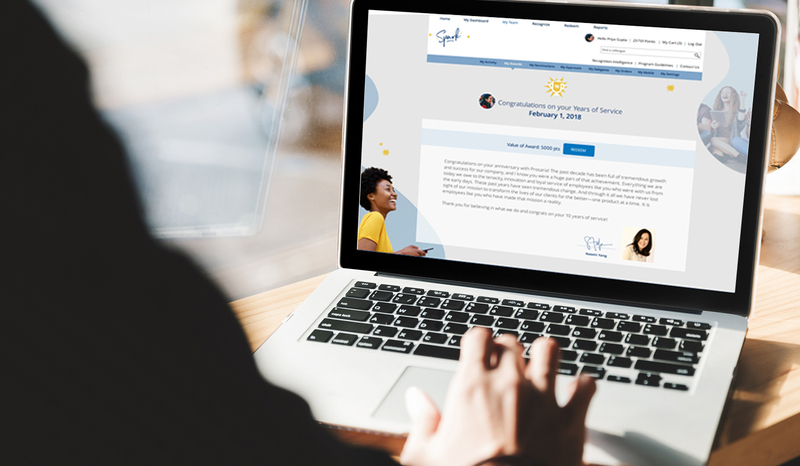 Not your traditional “years of service award,” Service Milestones goes far beyond the one-dimensional, manager-driven approach and brings your entire community together to celebrate important moments in a career. 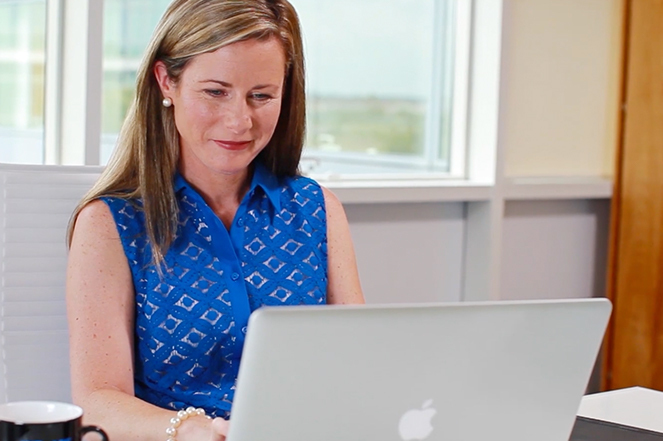 Service Milestones includes Service Timelines to celebrate work anniversaries, and also supports marking other important career milestones, including onboarding, promotions, transfers – all the way through to retirement. Managers are crucial in the celebration of anniversary milestones, providing important context of career achievements. But managers rarely know the entire story of their employees’ career. 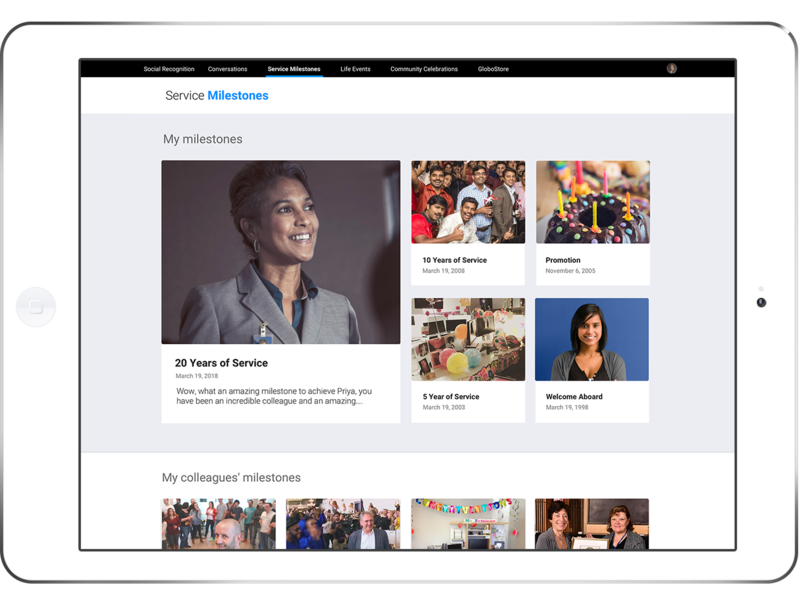 With Service Timelines, colleagues are automatically invited to participate and tell stories of their work together – creating a richer, more meaningful experience. Mark the major milestones of an employee’s career – from the day a new employee joins the company, to a promotion, transfer, anniversary, and even retirement. Each event is a chance to reflect on the past and propel the employee toward the next challenge. 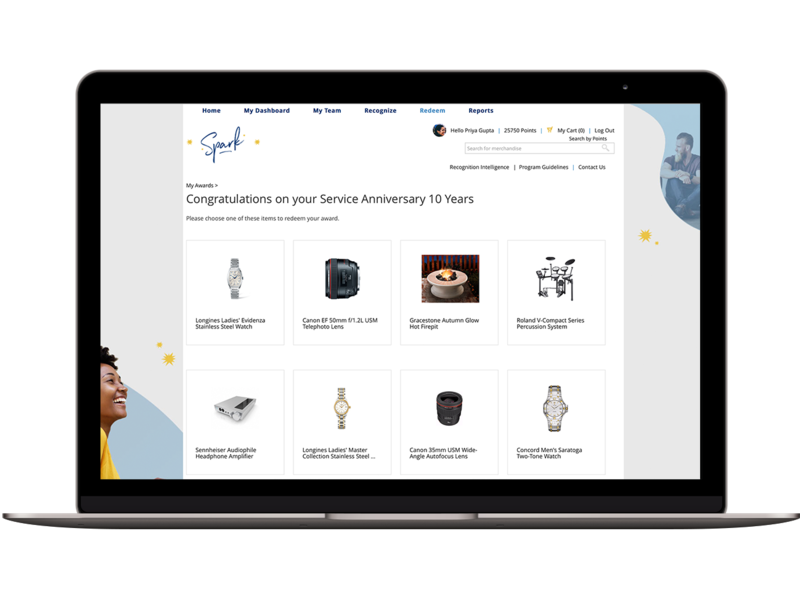 At key career milestones, such as a 10-year anniversary, employees can select from a curated, customized collection of merchandise in line with company budget guidelines. We can also create and deliver commemorative items valued by your employees, such as a lapel pin or other memento. 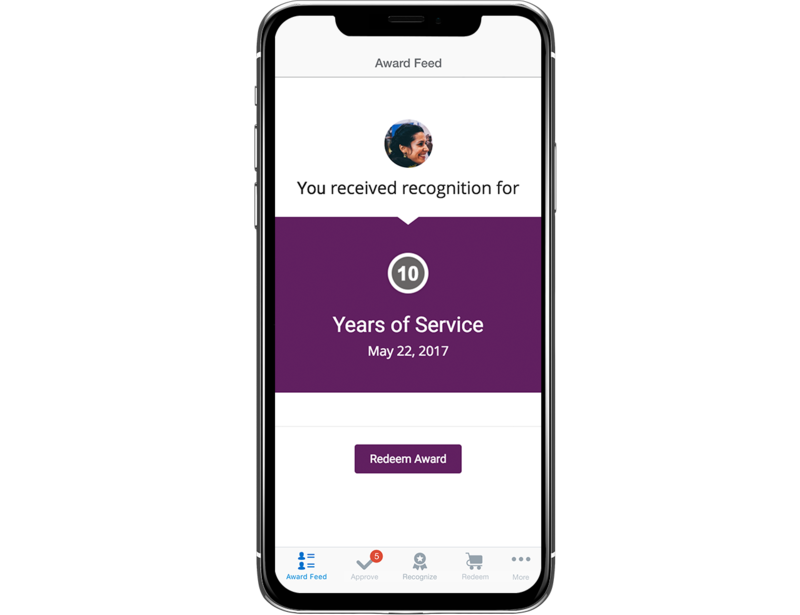 Service Milestones automatically notifies managers of upcoming anniversaries milestones, and career events, and intelligently invites the broader team and community to join the online celebration.